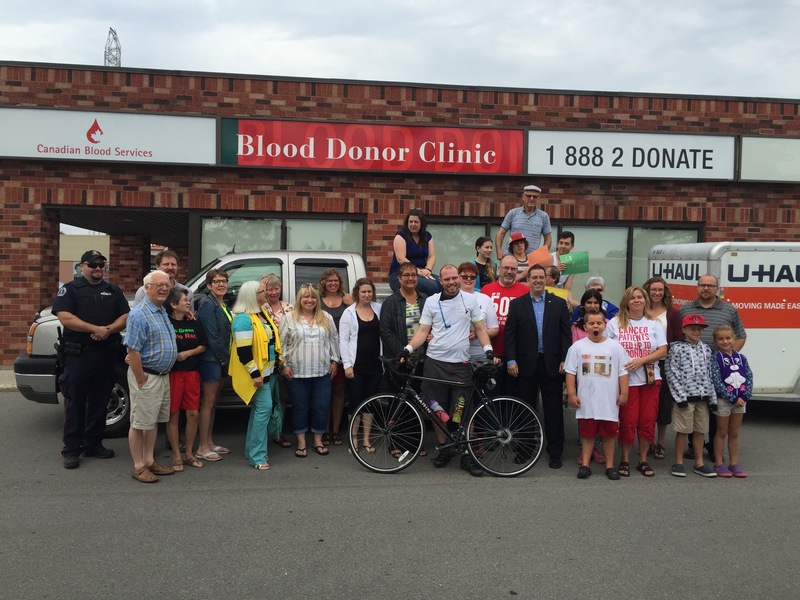 #Guelph #RideForGrandpa @itsinyoutogive Started Today! This morning was the community send off for Kyle Conibear! In the above picture I’m flanked by Kyle’s parents, (who might I add were beaming with pride for what their son is embarking on!) Our city is known for its high level of volunteering and thinking of others first. Kyle is doing just that! 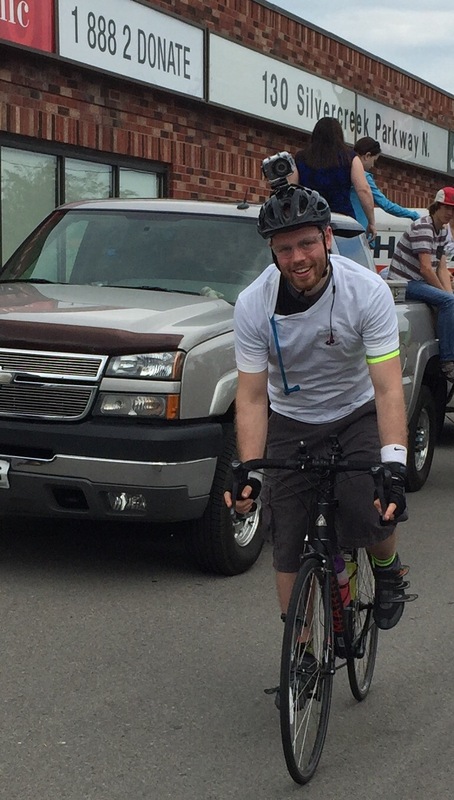 In support of his grandfather, Kyle is on a week-long solo charity bicycle ride. 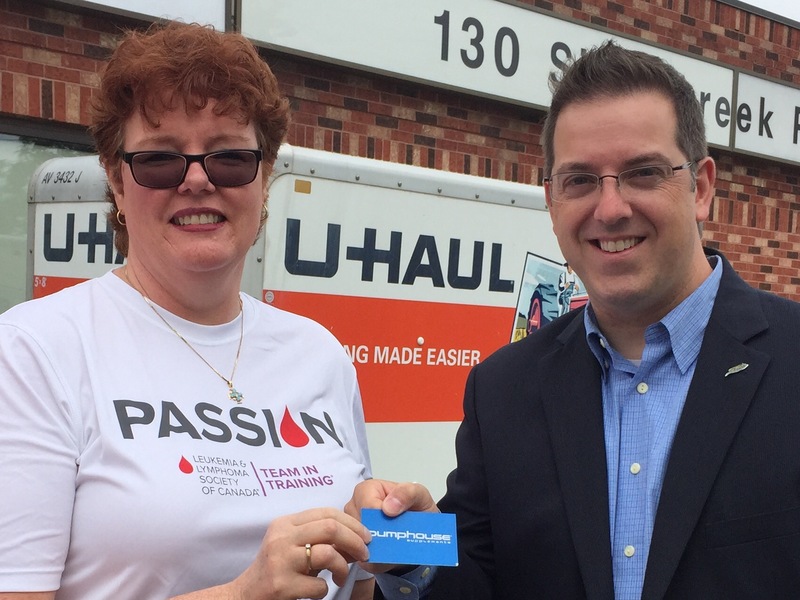 He started at the Canadian Blood Services clinic in Guelph and will be ending at the “Cancer Survivors Park” in Ottawa. He is calling it “The Ride for Grandpa”. Kyle’s goal was to raise $5,000 in donations for the Leukemia and Lymphoma Society of Canada. As of this morning he has raised over $9,000 (so far). Let’s bump him up more Guelph! Link to more info is HERE. The family also wanted to thank many sponsors, like Royal Distributing for the great bike and Pump House Supplements! 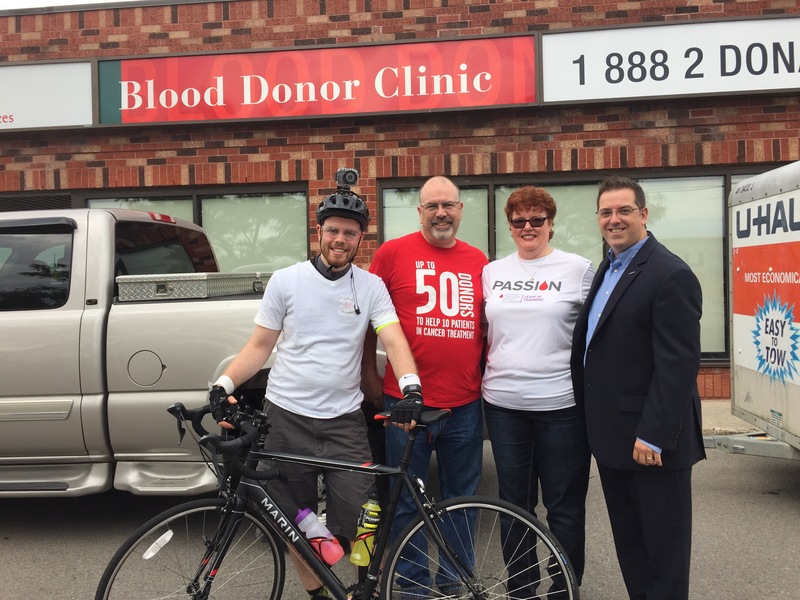 Kyle also wants to pay tribute to those blood donors whose donations have allowed him more time with his Grandfather (600 donors, 600 km ride), and encourage others to become blood donors themselves. Safe ride Kyle! Take care! Guelph is proud of you and will be cheering for you all the way to Ottawa! ← #Guelph Wishes You Happy Birthday Sylvia!